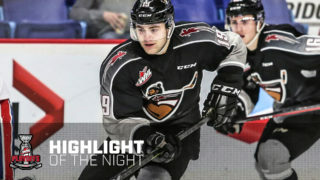 Toronto, ON – The Canadian Hockey League today announced that NHL Draft prospect Bowen Byram of the Vancouver Giants is the CHL Player of the Week for the regular season week ending January 13 recording six points in two games including three goals and three assists with a plus-minus rating of plus-6. Byram becomes just the second defenceman to earn the award this season after setting a Giants record with a five-point performance on Saturday. 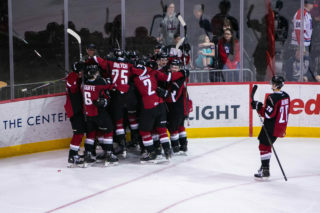 His two goals and three assists not only shattered his previous contest high of three points but earned him first star honours in the 7-4 win over the Kamloops Blazers and set a new franchise mark for single game points by a defenceman. 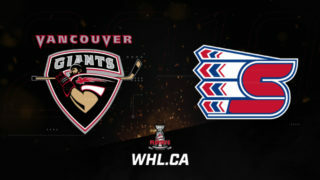 On Sunday Byram opened the scoring in a 3-2 win over the Victoria Royals extending the Giants winning-streak to three. This keeps them perched firmly atop the WHL’s B.C Division standings with a 26-12-2-0 record and nine points ahead of the aforementioned Royals. A 17-year-old from Cranbrook, B.C., Byram is playing in his second full season with the Giants. He was chosen by the club with the third overall pick in the 2016 WHL Bantam Draft and is currently tied for fourth in league scoring among defencemen with 39 points in 40 games including 13 goals and 26 assists. 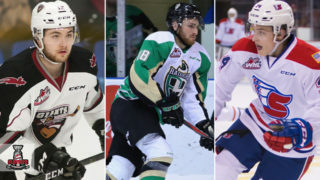 He is one of 11 CHL skaters to receive an ‘A’ rating in NHL Central Scouting’s ‘Players to Watch’ list released in November and will compete for Team Cherry in the 2019 Sherwin-Williams CHL/NHL Top Prospects Game on January 23 in Red Deer. 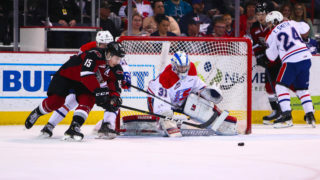 Also considered for the award this week was Philadelphia Flyers prospect Isaac Ratcliffe of the Guelph Storm scoring seven goals and three assists for 10 points in four games, and NHL Draft prospect Maxim Cajkovic of the Saint John Sea Dogs with three goals and four assists for seven points in three games. Cajkovic will join Byram on Team Cherry in next week’s showcase.